It’s usually an exciting a time where the atmosphere is guaranteed to be pushed to a new level. The School Day Game, where around 1000 kids from different local schools come out to see the basketball teams play. 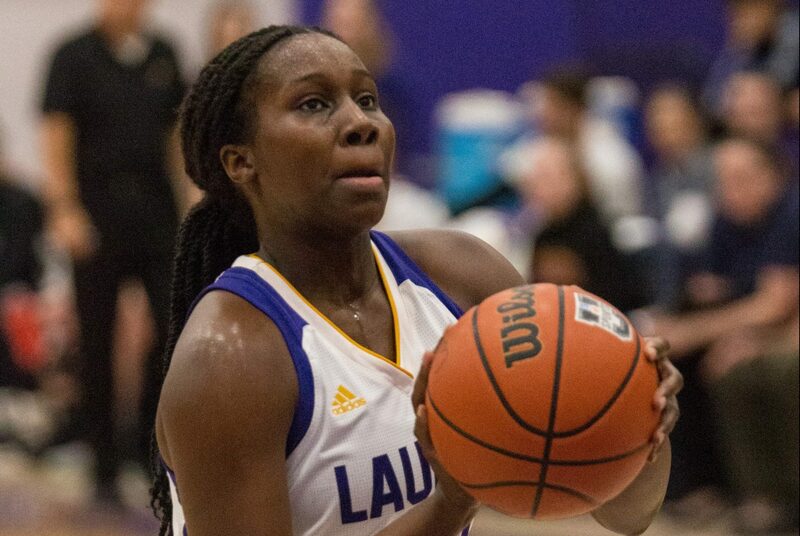 The Wilfrid Laurier University women’s varsity basketball team did not fail to impress the youth as they gave an exciting 78-69 win over the Guelph Gryphons. After a first quarter that was tight between both sides, the second quarter is where the game got interesting. Going into the second, Laurier was able to slowly but surely extend their lead from five to eight points. With a couple of minutes left, Laurier made a 9-2 run to close out the half up 36-22, outscoring the Gryphons 17-8 in the quarter as well. In the third quarter however, the Gryphons went into comeback mode as they made multiple runs at Laurier’s lead. The issue for them was that Jill Condron continuously made baskets to bring those runs to a halt in the fourth as well. “I think just staying calm in the moment when things were kind of tense … I tried to remain calm and focus on my finishes when I was getting the great passes from my teammates,” Condron said. Following a double overtime loss to the Waterloo Warriors a few days later, the Hawks are currently fifth in the OUA West. Down 11 to start out the fourth quarter, the Gryphons got back to work trying to grind away at Laurier’s lead. With under three minutes left, Guelph finally managed to cut the lead below seven points by way of a three-point play by Sarah Holmes with the score at 66-60. “At that time, it was just full focus on defence. We knew we really had to up the intensity and watch our fouls. We just stopped worrying about if our shots were hitting or not and really locked down,” Condron said. As they slowly crept closer, the Golden Hawks maintained their poise late in the game. With some key stops made on the defensive end and big buckets from key players (Jill Condron scoring six of their final twelve points), the Hawks managed to push their lead back to nine and come out with the big win. “I think Guelph’s a tough team to stop defensively. They’re a good offensive team. They have a lot of weapons and they play with good pace,” coach Falco said. They will be looking to get back on track going for the fourth seed in the OUA West to host a playoff game, facing the Western Mustangs Jan. 30 as they look to gain some momentum for a possible playoff push.